In July 1962, Col Fekadu Wakene taught South African political activist Nelson Mandela the tricks of guerrilla warfare – including how to plant explosives before slipping quietly away into the night. Mr Mandela was in Ethiopia, learning how to be the commander-in-chief of Umkhonto we Sizwe – the armed wing of the African National Congress (ANC). Then on 11 January 1962, Mr Mandela had secretly, and illegally, slipped out of South Africa. His mission was to meet as many African political leaders as possible and garner assistance for the ANC, including money and training for its military wing. And to be moulded into a soldier himself. During this trip, he visited Ethiopia twice and left a deep impression on those who met him during his stay in the Ethiopian capital, Addis Ababa. “Nelson Mandela was a very strong and resilient student, and he took instruction well and was really very likeable,” Col Fekadu said. Col Fekadu was a corporal when he trained Mr Mandela. He was a member of a specialist police force – the riot battalion – based in the suburbs of Kolfe, in barracks which are still used today. He remembers a “happy, cheerful person” who “concentrated on the task in hand”. “He was polite, always happy and you never saw him lose his temper,” he said. Col Fekadu says he was responsible for training Mr Mandela in sabotage and demolitions and how to stage hit-and-run attacks. The day’s theory lessons were put into practice during night-time exercises. Mr Mandela was a good student, hardworking and physically strong – but sometimes too robust and too enthusiastic for his own good, the colonel recalls. “Physically he was very strong and well-built. But sometimes during the training he would get ahead of himself. After my husband retired from politics, we moved from Dar es Salaam to Moshi, near to Kilimanjaro – and the boots came with us. Then, my husband got a job with the United Nations so the boots lived in New York for 15 years. I kept them in our bedroom in a cupboard. I never polished them, I never cleaned them but I put newspaper in them to keep them firm. The boots are very strong and the leather is excellent – and when I took them back to Mr Mandela in 1995 they were really like new. The boots still fitted Mr Mandela and he joked that ‘these boots have travelled more than myself’. 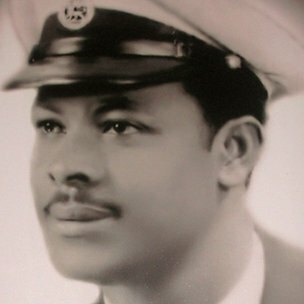 Col Fekadu had been told to train Mr Mandela by his commanding officer, General Tadesse Birru, the assistant police commissioner who had played a key role in crushing an attempt at the end of 1960 to overthrow Emperor Haile Selassie. He was later executed by the Derg regime of Mengistu Haile Mariam. Back in 1962, Col Fekadu did not realise the significance of the South African politician he had been instructed to turn into a soldier. “All we knew was that he was our guest from abroad and that he would spend some time with us,” he said. Mr Mandela was in Ethiopia at the invitation of the emperor, an ardent supporter of Africa’s decolonisation and African unity. And the emperor had invited many other African liberation struggle fighters to be trained on Ethiopian soil. As well as learning how to commit acts of sabotage, Mr Mandela’s military training also included briefings on military science, how to run an army and how to use a gun. He was also taken on long treks carrying his knapsack, rifle and ammunition. Mr Mandela’s presence in Addis Ababa was supposed to be top secret. But physically he stood out. He was much taller and broader than most of the police cadets. And, as well as going on fatigue marches through the countryside, he would exercise out in the open in the grounds of the barracks. One person who took a particular interest in the tall stranger in his midst was Tesfaye Abebe, who was working in Kolfe as the head of the battalion’s music and drama department. He recalls Mr Mandela running around a big field in the compound – which today doubles up as a running track and a parade ground. A curious Mr Tesfaye snatched conversations with Mr Mandela when he and his trainer came into the canteen for lunch. But, he says, Mr Mandela was “very friendly and talkative” and explained apartheid to him and how the ANC intended to fight it with guerrilla warfare and political activism. On a couple of occasions, the police band – in which Mr Tesfaye was the pianist – played for Mr Mandela in the officer’s club. Mr Mandela’s military training in Ethiopia was supposed to last six months – but after only two weeks he was called back to South Africa by the ANC. He had already spent seven months out of the country – and he was needed back home. As Mr Mandela left Ethiopia, Gen Tadesse presented him with a pistol and 200 rounds of ammunition – a gun that is thought to be buried somewhere on Lillesleaf Farm, where in 1963 other ANC leaders were arrested and sentenced to life alongside Mr Mandela in the famous Rivionia trial. Mr Mandela himself had been arrested on 5 August 1962 – for leaving the country illegally, shortly after his return from his trip around Africa – and still in the military fatigues in which he had been trained in Ethiopia.